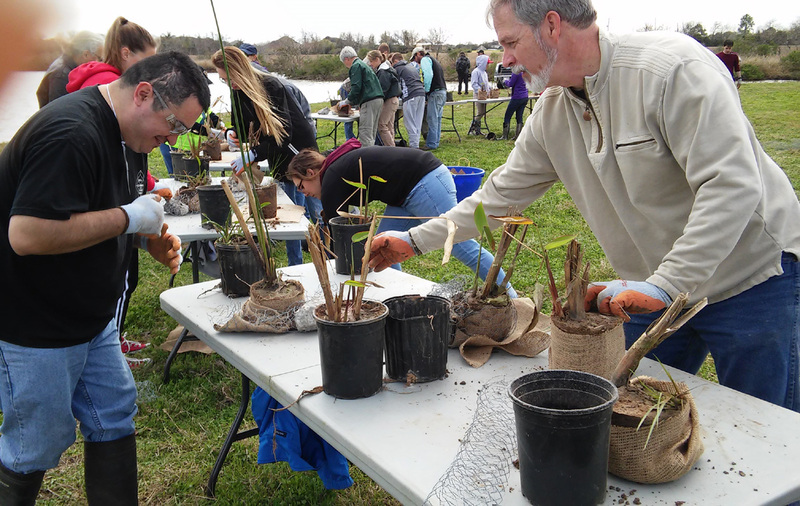 The Pearland Wetland Awareness event was a success! 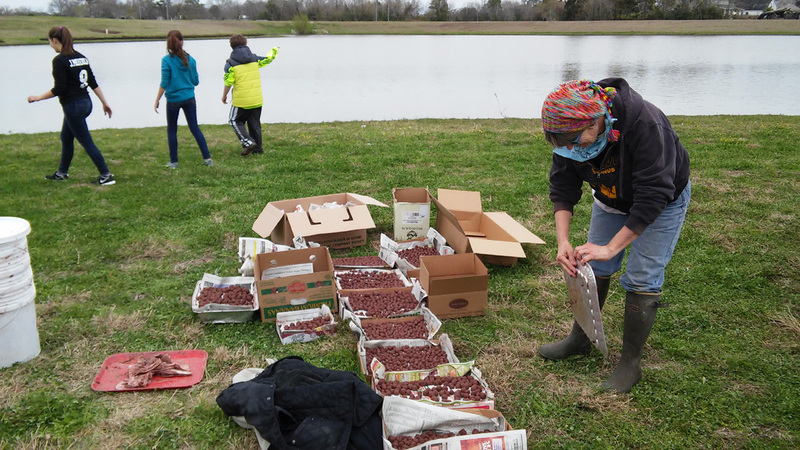 We planted 1200 plants on the 20 floating wetlands, and made about 400 plant balls to set in the deeper water around the islands. We also made thousands of seedballs for future use on the slopes of the site. There were 17 species of native coastal prairie wildflowers and grasses in the seedball mix. Over ninety people joined us on Saturday. Those were the numbers. Now if you take a look at the photos from the Pearland Parks and Recreation Department’s Facebook page, you will see how enjoyable it was to take part! See Planting the wetlands on Saturday and launching the floating wetlands on the following Tuesday. 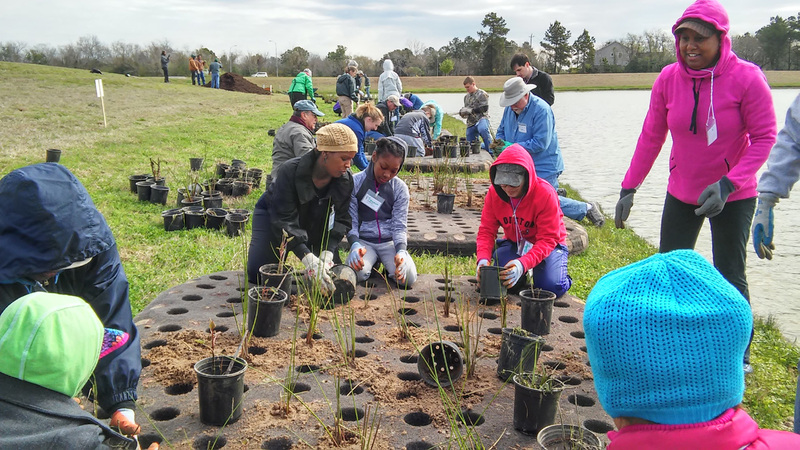 These wetlands set the stage for improved wildlife habitat on the site of the future Pearland Nature Center, and demonstrate water quality improvement techniques for stormwater runoff. Stay tuned for Phase 2 of the wetland planting!